~~> Welcome to the CRAZIEST eye clinic ever! The waiting room is packed with patients who need YOUR help! Super Fun Pack & No Ads! ~~> Be the best EYE doctor! Use real doctor tools like the laser beam and X-ray machine to examine and treat your patients! ~~> Put your vision to the test! 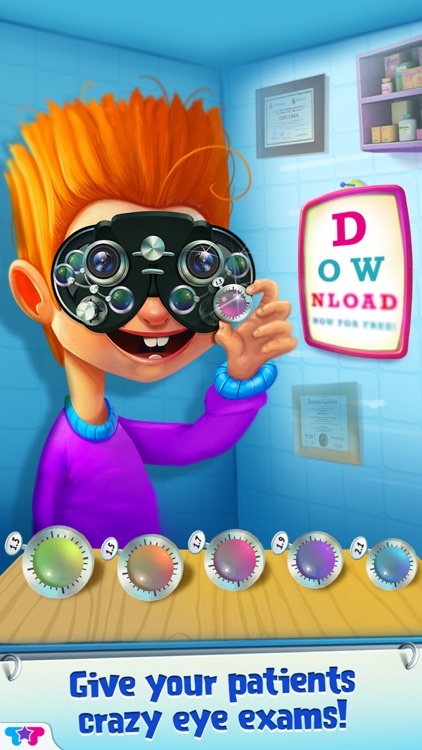 Play "EYE" SPY games to earn coins and get awesome toys at the gift shop! Doctor X to the Rescue! These CRAZY patients need YOU! Use special medical tools to stretch open eyes, remove germs and kill unwanted bacteria! 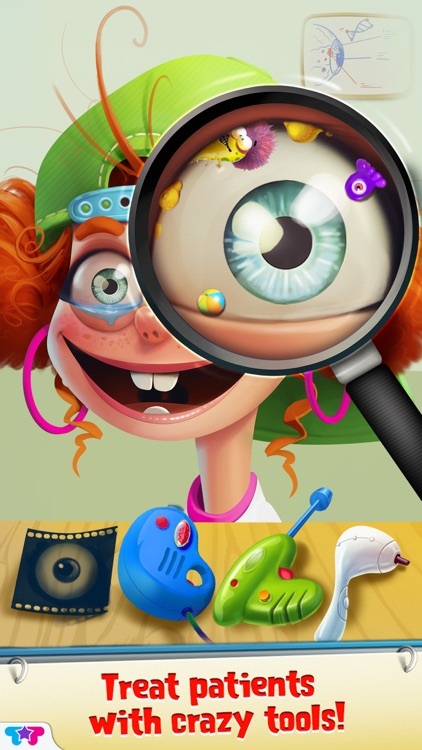 Discover all kinds of surprises in your patients’ eyes and let the fun begin! Enjoy tons of CRAZY fun-filled activities! Take a professional X-ray, fix broken eye socket bones, pop eye blisters and so much more! 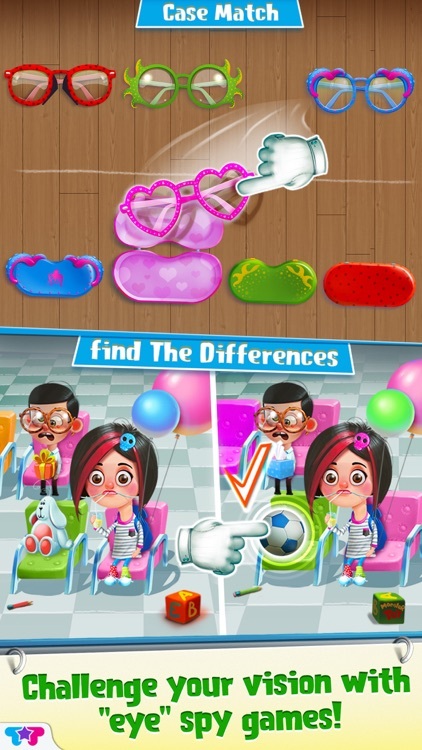 Play awesome mini games like Case Match and Find the Difference. Who knew being an eye doctor was so exciting?! 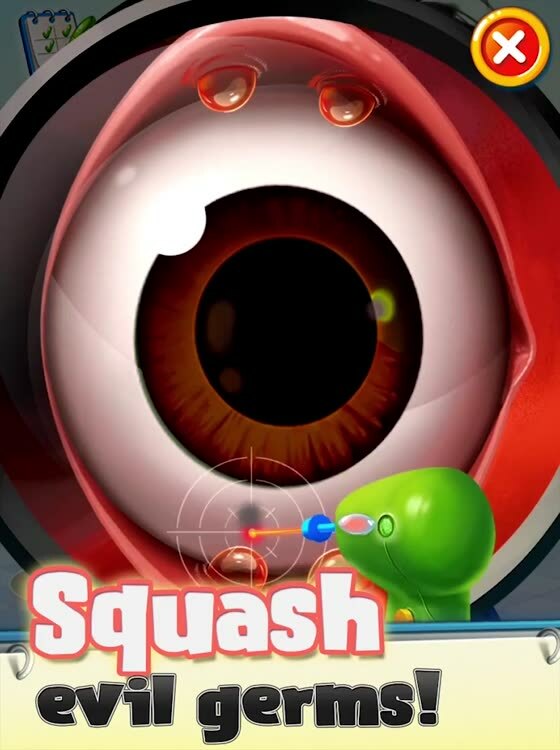 > Treat patients with real life medical tools like the laser beam, retina scope, clamps & more! > Manage the busy waiting room before patients lose patience! 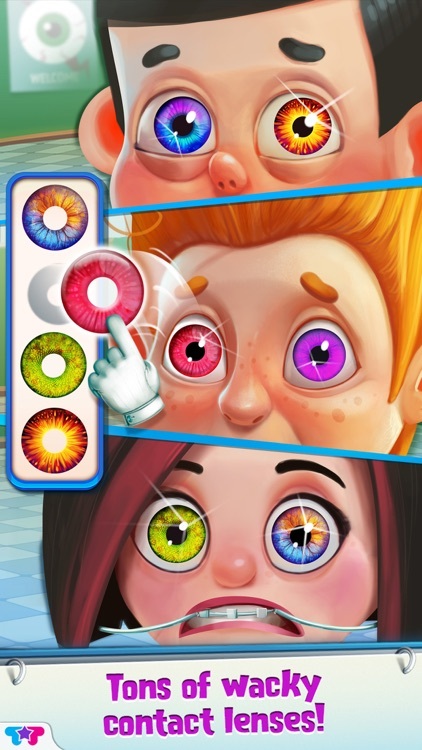 > Dress up your patients’ eyes with wacky contact lenses! > Decorate eye patches with your favorite colors! 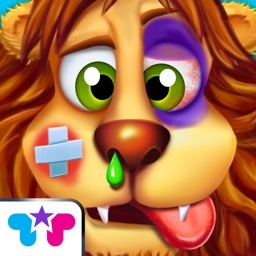 > Tap to kill germs and eliminate bacteria! > Make your own natural eye medicine! 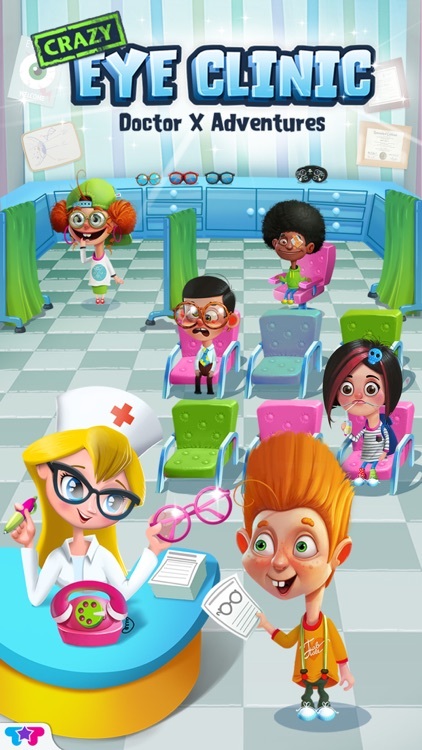 > Earn coins as you treat patients and complete activities! 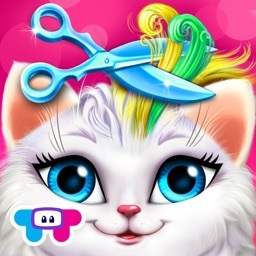 > Use coins you earned to buy toys, candy and coloring pages at the gift shop!